With Haunting of Hill House plugging the hole left by Stranger Things this Halloween, I started thinking about Netflix’s other original horror dramas and whether or not there is method to a Netflix TV horror. Is there anything common to a Netflix horror series or are they all totally and unequivocally different? So far Netflix have made three original horror drama series which I believe share lots of corresponding codes and conventions. I want to consider Netflix’s own horror, and see if we can draw parallels between them. Netflix have so far given us Hemlock Grove, Stranger Things and Haunting of Hill House. On the surface they do all look very different. Hemlock Grove is a vampire / werewolf based drama, Stranger Things is a splice of science fiction and horror, and Haunting of Hill House is a classically Gothic spooky haunted house tale. But when I start to unpack the shows, they start to reveal some common themes, codes, conventions and ideas. Like lots of TV dramas made today in the age of seriality, these three examples all have creative personnel from Hollywood directly involved. Hemlock Grove was directed by Eli Roth (Hostel; Green Inferno); Stranger Things was penned by the Duffer Brothers (Hidden); and Mike Flanagan (Ouija; Before I Wake; Hush; Origins of Evil) directed Haunting of Hill House. What stands out here, is that not only are film creatives working on Netflix horror, but horror film creatives are working on Netflix horror. With Netflix making suggestions to subscribers from the movies they watch, Netflix took the popularity of Roth’s and Flanagan’s movies, and filtered that into the making of original horror series. It should be noted too, that Netflix approached both Roth and Flanagan to make them a horror series (Richford, The Hollywood Reporter, 2013; Bloom, The Hollywood Reporter, 2018). Both Hemlock Grove and Haunting of Hill House are adaptations from novels, and both of them had directors that were approaching the series as long, 10 hour movies. 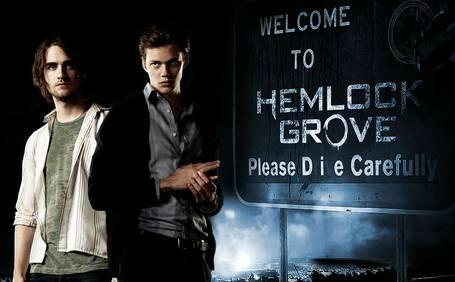 Roth said of Hemlock Grove that while the shooting schedule was as television is (8 days shooting per episode), the position of the show on Netflix – the full season drop coupled with cluster watching viewing habits – means that the overall story can be seen as one complete piece. Flanagan of Haunting of Hill House said the same, that he “always looked at it like a 10 hour movie” (Bloom, The Hollywood Reporter, 2018). But what of Stranger Things and common themes that might connect this Netflix original? The key lies in the Gothic that spreads across all three series. Hemlock Grove plays with classic monsters – vampires and werewolves – and features a Dr Frankenstein character ins Dr Pryce, head of operations at The Godfrey Institute. Hemlock Grove explores the clashing of two significant periods of the town. After the demise of its economic industry, the inhabitants of the town are mainly unemployed as the Godfrey Institute now deals in biomedical technologies. Hemlock Grove explores notions of science versus nature via the sinister experiments conducted by Pryce at the Institute, and nature versus civilisation, as the town fears the savagery of Peter Romansek and his werewolf lineage. 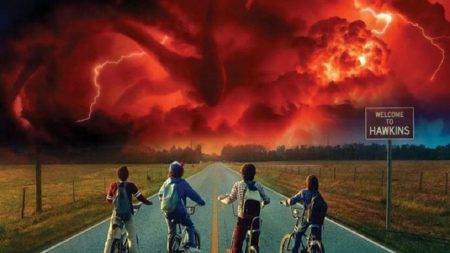 Stranger Things also explores science versus nature, as the Hawkins Laboratory, part of the US Department of Energy goes about its highly suspect and sinister business, with human test subjects to boot. Haunting of Hill House also dabbles in the science versus nature, as in episode 1 ‘Steven Sees A Ghost,’ he debunks a woman’s sighting of the final moments of her dead husband. While Haunting of Hill House only touches on this Gothic theme, it makes up for it in its thrillingly spooky house which is littered with ghosts. Some of the ghosts are relevant to the story, and some simply make up the mise en scene of the show. There were around 80 ghosts placed in the house, some of which you have to look very closely to see. Hill House is always watching. If its not a ghost its the creepy doorknobs and fixtures and fttings with faces on, its ghostly visages reflected in objects, mirrors, and even from outside the window. All three of the Netflix original horror series feature unravelling women, trapped by their circumstances and / or previous actions. Hemlock Grove’s Olivia Godfrey is morally flawed throughout, and she is trapped in season 3 by her upir cancer, which drives her gradually but fully insane. In Stranger Things, Joyce in trapped in her house both by her impoverished circumstances, and by her insistence that her boy is still alive. After the apparent disappearance and then death of her son, she becomes more and more fixated on the lights, and her obsession is treated as mental instability. In Haunting of Hill House, Olivia Crain goes completely mad at the will of the house, tries to kill her own small children before eventually killing herself. 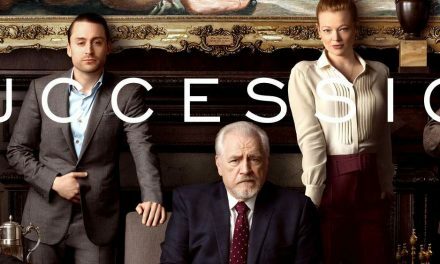 All three series further embody the Gothic with their use of the past, family secrets and traumas. In Hemlock Grove, everyone has a secret, a ghost from their past. Olivia has a very dark past with multiple murders, and Miranda is running from her past, only to have it come back and haunt her present. In Stranger Things, Hopper can’t ever fully escape his sadness over his deceased daughter, and drinks to quell the pain. 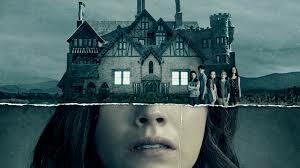 Haunting of Hill House with its moving bath and forth across the past and the present, hangs its entire story on the traumas of the past affecting the present. Nell eventually kills herself, Luke is a heroin addict, Theo cannot love, Shirley still feels the need to be in control, Steven denies that anything untoward happened, and Hugh is plagued by the memory of his dead wife. Stranger Things does however view the past differently to Haunting of Hill House. In Stranger Things, the past is an exercise in fond nostalgia, whereas in Hill House, the past is a place to be feared, a place that can harm the present. I am genuinely looking forward to whatever horror series Netflix makes next, be that Haunting of Hill House 2, or something new. With Hill House doing so well, and the runaway success of Stranger Things, I would hope that Netflix do continue with horror additions to their ‘Series’ menu tab. We all know what ‘a HBO style drama’ is, only time will tell though, if the phrase ‘a Netflix style horror’ becomes common parlance among critics and scholars. Stella Gaynor is an Associate Lecturer at The University of Salford in the Arts and Media Department, teaching on the BA(hons) Television and Radio programme. She has submitted her thesis titled Made For TV Monsters: How has the rise of horror on US television affected the spectacle and acceptability of the genre? She has written a chapter on the global spread of The Walking Dead and FOX International Channels in the forthcoming book Global TV Horror, edited by Stacey Abbott and Lorna Jowett. The third season of Stranger Things has been put back until 2019, with the writers the Duffer Brothers saying that they want to get it absolutely, and completely right. There are of course other horror’s on Netflix, but they are not Netflix originals. American Horror Story, for example, is on Netflix, but that is made over at FX. Scream: The TV Series, also on Netflix, but from MTV. In Hemlock Grove the vampires are referred to as upir, an Eastern European word for the blood drinkers. Olivia contracts the upir cancer, which makes her body reject human blood, so starve to death. It also sends her mad and she eventually begins to cannibalistically feed upon herself. NextCfP: journal NECSUS Autumn 2019_#Gesture. Deadline: Jan 15, 2019.